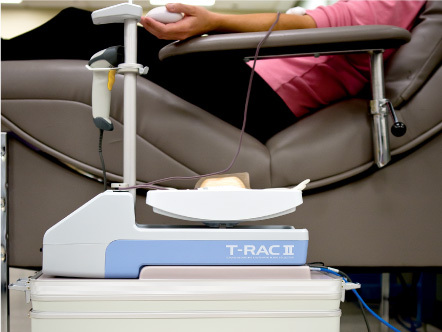 Leverage the power of automation to improve whole blood donations with the T-RAC II device. You can standardize your collection process, produce more consistent products and simplify traceability and compliance with advanced data collection and management. 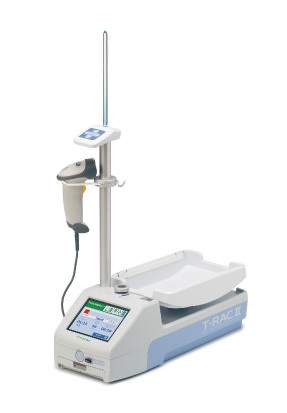 The T-RAC II device is a combination scale and mixer that standardizes the whole blood collection process. User-friendly features combined with advanced technology make the T-RAC II device easy to operate. 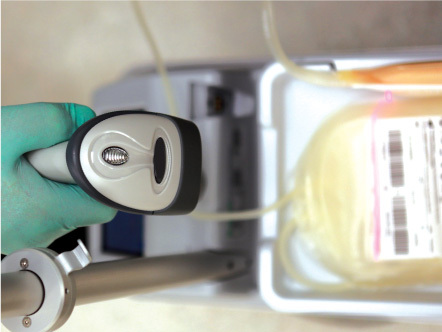 Compact, lightweight and sturdy, the device is suitable for use in blood centers and on mobile drives. The T-RAC II (Terumo Recording & Automatic Blood Collector) is a combination scale and mixer used to automatically weigh a whole blood donation and gently mix the collection with additive solution to improve the consistency of whole blood collection for operators, donors and patients. The T-RAC II device is designed to be portable and includes power sources and memory storage suitable for mobile and on-site collections. Highly flexible software allows operators to define and store different configuration settings and collection parameters in the system. All key donation data, barcode scans and events are recorded according to good manufacturing practices (GMP) and stored in the device’s internal memory (for up to 100 donations). Data may be transferred to your network or downloaded using the USB port. The barcode scanner adds to the appeal of automation for simplified data capture and record keeping. How Could You Benefit From Using the T-RAC II System With TOMEs? Learn how the power of software can increase your power to perform. T-RAC II and TOMEs are not approved for sale in the U.S. They are available in select markets. 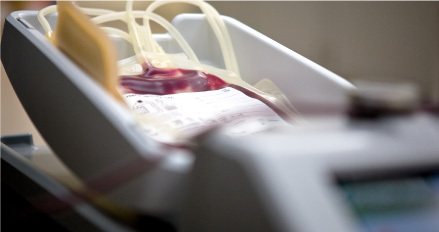 Standardize whole blood collections and improve traceability—contact your Terumo BCT representative today.